The dollar initially fell to almost JPY101 before rallying to JPY102.80. 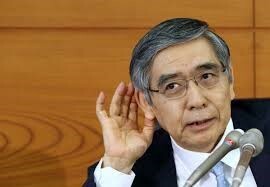 However, the enthusiasm was not sustained and the greenback eased back to JPY101.60. It has been confined to about a 30 tick range in the European morning. We try to be careful to separate what we think the Fed will likely do from what we think it ought to do. We think the Fed ought to raise interest rates today. In one stroke it would recoup some of the credibility that critics say it has lost. It would shift debate from over-promising and underdelivering to delivering a surprise. We argue that the US economy is resilient enough to withstand a 25 bp rate hike. In addition, contrary to some arguments that think the international climate is not supportive, we suspect that a Fed hike now would be welcomed by other central banks, who may have exhausted the political willingness to ease monetary policy further. In lieu of a rate hike, the dot plots and Yellen's press conference will be the focus. The FOMC finished last year saying that four hikes would likely be appropriate this year. The dot plot, however, is not a commitment of promise. Nevertheless, it shows how far the Fed was from the mark. In June it shifted to two hikes. Now, if it is going to maintain that every meeting is live, it must signal a single hike. The news stream could be a bit more supportive. Following last week's CPI and yesterday's housing starts, the Atlanta Fed shaved its Q3 GDP tracker to 2.9%. It will still be the first quarter in four that growth surpassed its trend of around 2%.